To view the 2008 awards, please click here and here. To view the 2009 awards, please click here and here. To view the 2010 awards, please click here and here. To view the 2011 awards, please click here and here. As I suggested during yesterday’s poll to identify the best player of 2012, for me this has been the hardest year in a long time to identify a single stand out player of the year, with the major tournaments being shared around between the world’s best. Having won both the World Championship and the German Masters, Ronnie O’Sullivan has had as successful a year as anyone on paper, though having barely competed during the year’s other tournaments, I feel compelled to look elsewhere. Winning the UK Championship and Masters tournaments respectively, Mark Selby and Neil Robertson have also thrown their respective hats into the ring, whilst the likes of Stuart Bingham, Mark Davis and Barry Hawkins have also enjoyed notable success during 2012. 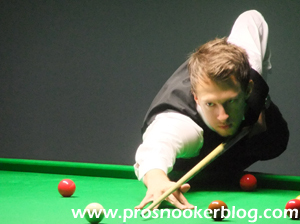 For me however, as in 2011 I am going to go with Judd Trump, who whilst not enjoying a faultless year, was central to many of its key on-table stories. Right from a hotly-contested Masters semi-final at the start of the year, to his shock defeat to Mark Joyce at UK Championship in York, it has been a busy year for a man with ambitions of becoming the next dominant force in the game. Perhaps the most memorable match that Judd would be a part of in 2012 was another defeat, to Ali Carter at the World Championship in Sheffield, but for me it was his reaction to this loss that earned him the nod in this award, as he noticeably improved his all-round game during the next few months. 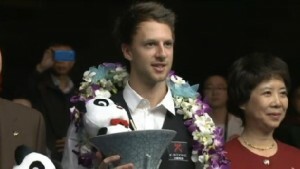 The first signs came as he reached the final of the Shanghai Masters, losing only to an inspired comeback by John Higgins, before he then went on to defeat Neil Robertson 10-8 to capture the inaugural International Championship in Chengdu, becoming snooker’s tenth number one in the process. Though he ended the year with that disappointing loss to Mark Joyce in York, for me he heads into 2013 as an even greater threat than he began 2012. While the previous category was a very difficult call, the decision to award Luca Brecel the title of young player of the year is an easy one, given his impact at the year’s two biggest tournaments. 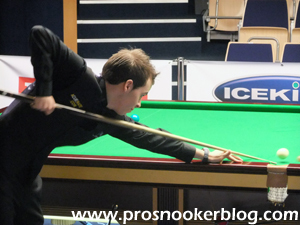 Most recently of course came his brilliant run from the first qualifying round at the UK Championship, to the quarter-finals in York where he was unfortunate to lose out to former world champion Shaun Murphy, having already seen off Ricky Walden and Mark King at the venue. For me however, it was his run at the World Championship which really captured the imagination, as he defeated Ian McCulloch, Barry Pinches, Michael Holt and finally Mark King again, to become the youngest-ever player to qualify to play at the Crucible Theatre, Sheffield. Aged barely 17 at the time, Luca was not intimidated by the crowds at the EISS, nor the thousands of people watching his four qualification matches, all of which were streamed on the internet, and impressed many with his outstanding natural talent, which with a little more experience, will surely soon see him challenging for silverware. Another tough category this, largely I think because as the all-round standard on the main tour improves, it is becoming harder and harder to call any particular result a surprise. Take for example Rod Lawler’s win at the UKPTC3 event, which a year or two ago would have been a major shock, but given his form for much of 2012, was for me, not all that surprising. 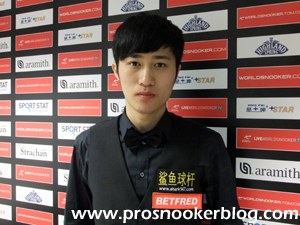 One result that I simply did not see coming however, was Cao Yupeng’s 10-6 victory against Mark Allen at the World Championship. 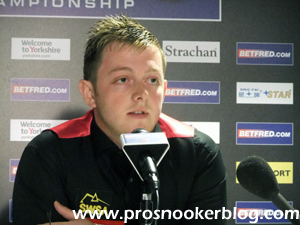 While there were a number of ‘shocks’ at the Crucible which were to some extent foreseeable, given Allen’s quality, particularly on the big stage, I had not expected anything other than an victory for the Northern Irishman heading into the match. As ever, there were a number of great comebacks this year, not least John Higgins’ success against Judd Trump in the final of the Shanghai Masters, having trailed 7-2 after the first session, or Ronnie O’Sullivan’s response to Stephen Maguire in the final of the German Masters. For me however, there can only be one winner, Shaun Murphy’s five-frame burst from 8-4 down to Ali Carter in the semi-finals of the recent UK Championship, to defeat the Captain and move into the final. As brave a display of attacking snooker that you could wish to see in that situation, it was the manner of the comeback which impressed as much as the scoreline, particularly given the fact that Ali was just one frame from victory, leaving Shaun no room for error. While it was perhaps not the best match of the year, of the qualifiers at least, it was perhaps the most talked about on the internet, largely following this exchange towards the end of the penultimate frame, which saw a dispute about the positioning of the balls following a miss, as well as Luca taking a red out of the pocket at one stage in an attempt to prove his point, with a foul somehow not being called. Other worthy candidates for the award include Ken Doherty’s dramatic 10-9 victory against Anthony Hamilton in the same tournament, while Steve Davis’ victory against Pankaj Advani at the UK Championship qualifiers, from 4-0 down was another terrific performance. 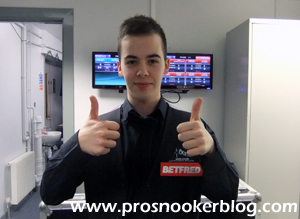 Also from those qualifiers, Luca Brecel is worthy of another mention, for his 6-5 win against Scott Donaldson in the opening round, which included back-to-back centuries from 5-3 down against the Scot on his way to the quarter-finals. 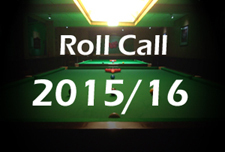 This year might have seen eleven 147 breaks and a new record set by Mark Selby for the amount of century breaks recorded in a single season, but for me the best break of 2012 was neither a maximum, nor was it a ton. When Ronnie O’Sullivan came to the table during the seventh frame of the World Championship final against Ali Carter at the Crucible. Wwith the balls placed as they were, I remember commenting on Twitter, something along the lines that he would do well to make more than 20, only for him to produce one of the finest clearances that you could ever wish to see. 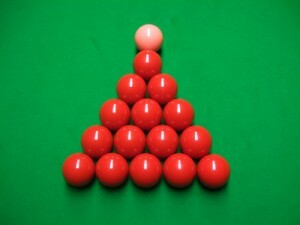 As in 2011, I have not decided to go for a brilliant shot, although unlike last year I have at least gone with a pot! For me, the shot of the year, the most analysed, talked about and controversial of any in 2012 was the alleged ‘push shot’ by Cao Yupeng against Mark Allen in their last 32 match at the World Championship. 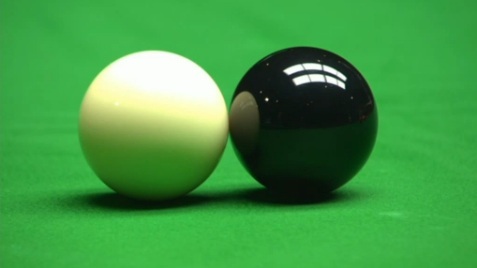 Coming during the opening frame of their second session, the shot came as Cao potted a red, with no foul being called at the time by referee Paul Collier. What followed however were ‘those’ comments from Mark during his post-match press conference, which would eventually lead to a £10,000 fine for the man from Northern Ireland. While I do not want to go into get too far into the situation involving Stephen Lee at the moment, given the fact that there remains an ongoing investigation by the WPBSA stemming from suspicious betting patterns, regardless of the outcome, such stories are not good for the image of snooker as a whole. It is a particular shame given that at the time of his suspension, Stephen had probably enjoyed as strong a run in 2012 as anyone, helping him back up into the world’s top eight, with the chance to rise higher still, only for all of that work now to have been undone, whatever the circumstances. 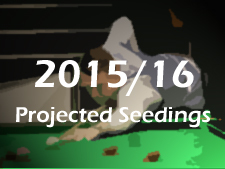 It remains to be seen what the outcome of the ongoing investigations will be, but already back outside of the top 16 on the latest projected seedings list, the impact already has been significant.